Karen Loeffelholz is a Dental Assistant at Langworthy Family Dental. 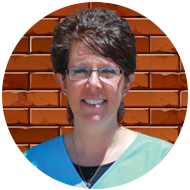 As a graduate of NICC’s Dental Assisting program in 1998, Karen began her career working for a dental practice in Maquoketa, Iowa. Two years later, she joined the team at Langworthy and has been by Dr. Bill’s side ever since! Karen enjoys the wide variety of procedures she assists, as well as meeting new patients. When not in the office, you can find her spending time with family and friends, and playing softball or volleyball. Karen lives with her husband, Dave and son, Kaden in Menominee, IL. Don’t forget to ask about their cat, Shiver’s.